Covers the basics of 3D design with our 3D printers. Includes best practices, procedure, policies, and overview of software. 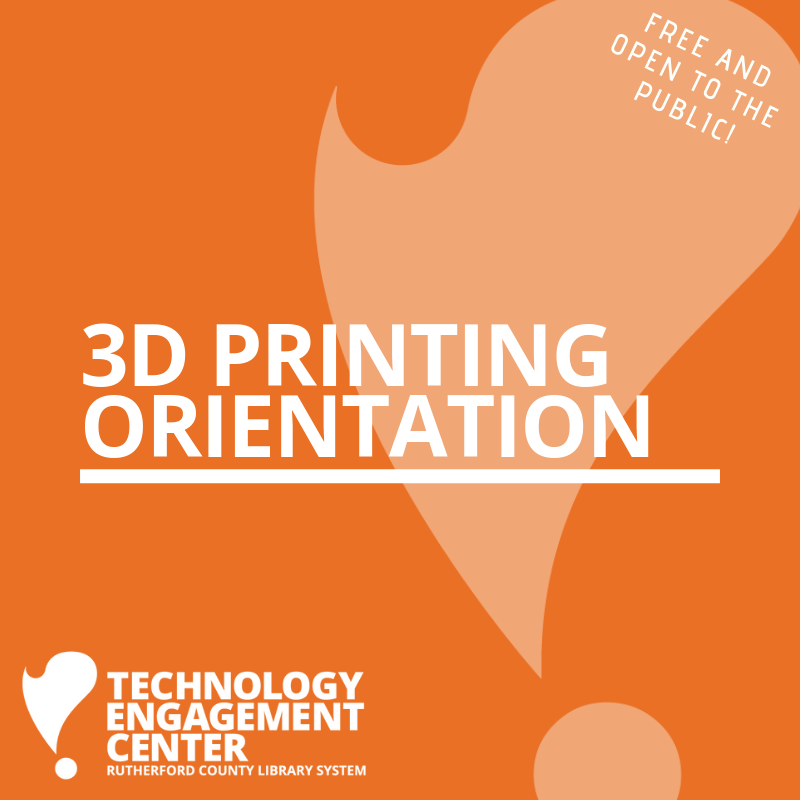 Requirements for using the TEC's 3D printers. 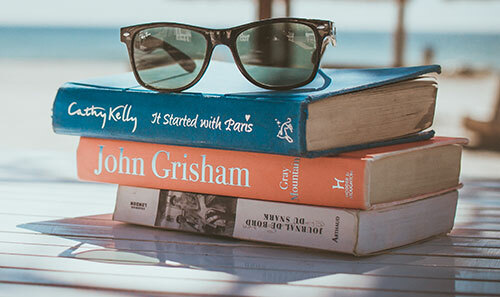 Our monthly book club features more than just romance titles! Check with Stephanie Jones to see what title we'll be talking about this month. Email sjones@linebaugh.org for current book title. 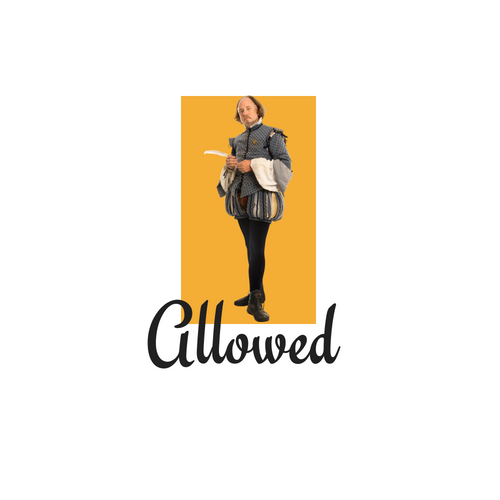 Love Shakespeare? 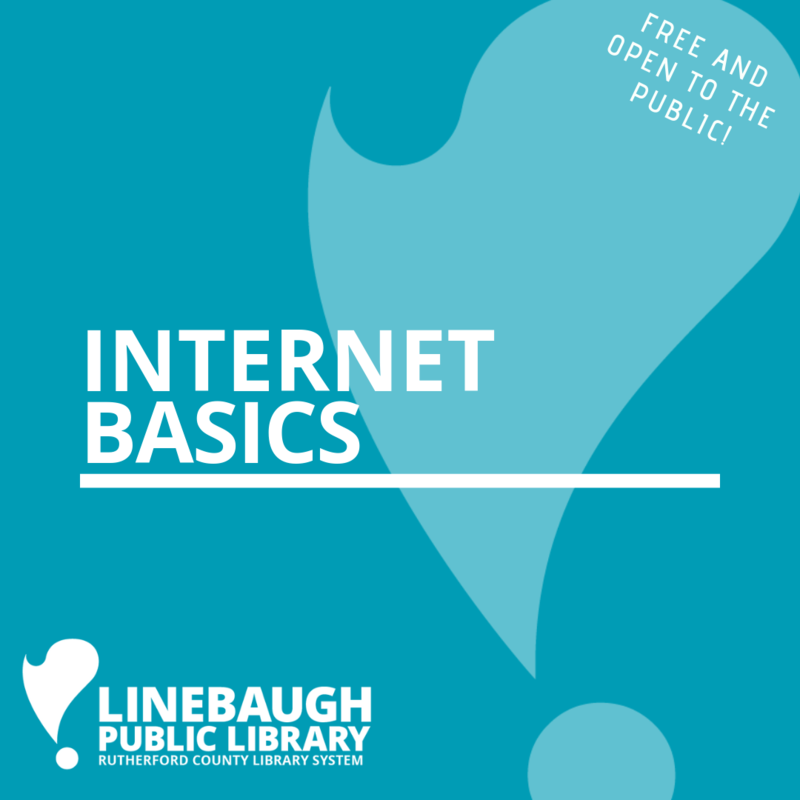 Join the Rutherford County Shakespeare Allowed group at Linebaugh Public Library and read through all his works! 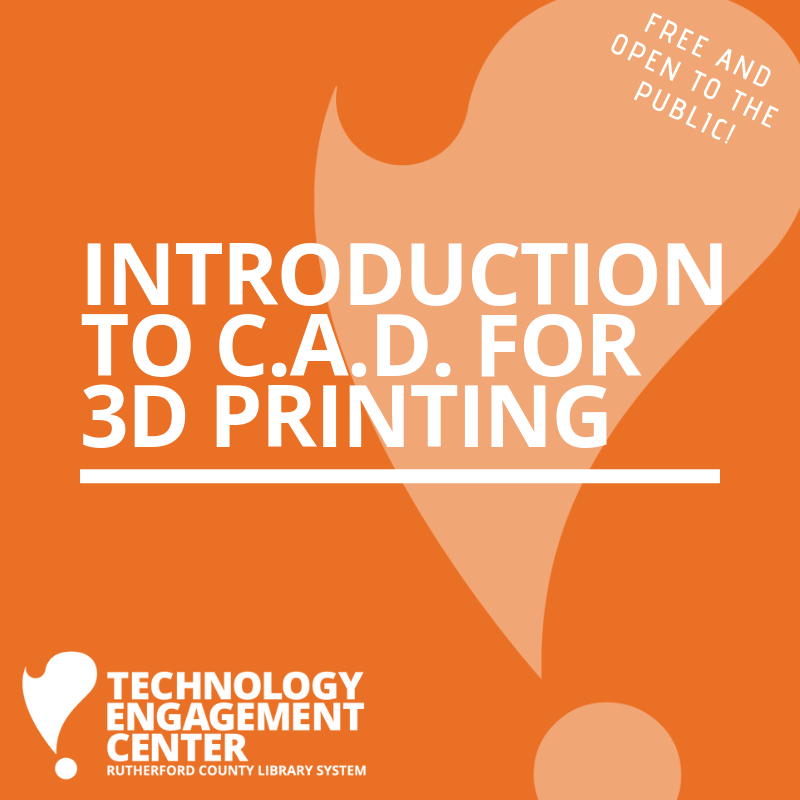 Learn about some of the CAD programs that can be used to create 3D printable models.